Head on out and pick up a copy of our favorite show for the stockings you have to stuff this Christmas. My kids love this DVD and watch it every chance they get! The Pups Winter Wonder Show - The Adventure Bay Snow Show is in danger of being a no-show when Mayor Humdinger escapes with the feature act, Cap'n Turbot's performing penguins. It's up to the PAW Patrol to return the penguins so that the show can go on. Pups Save a Sleepwalking Bear - The pups need to get a sleepwalking bear back home before he wakes up. Pups Save Jake's Cake - Ryder and the pups help get a surprise birthday cake up to Jake's cabin. Pups Save a Teeny Penguin - When Everest and Jake try to rescue a little penguin, they wind up floating out to sea on a homemade bridge. Pups Save a Wild Ride - The PAW Patrol must come to the rescue when Alex and Daring Danny X snowboard near Risky Ridge. Pups and a Whale of a Tale - While on a whale watching expedition, Everest and Jake discover a baby whale trapped beneath the ice. 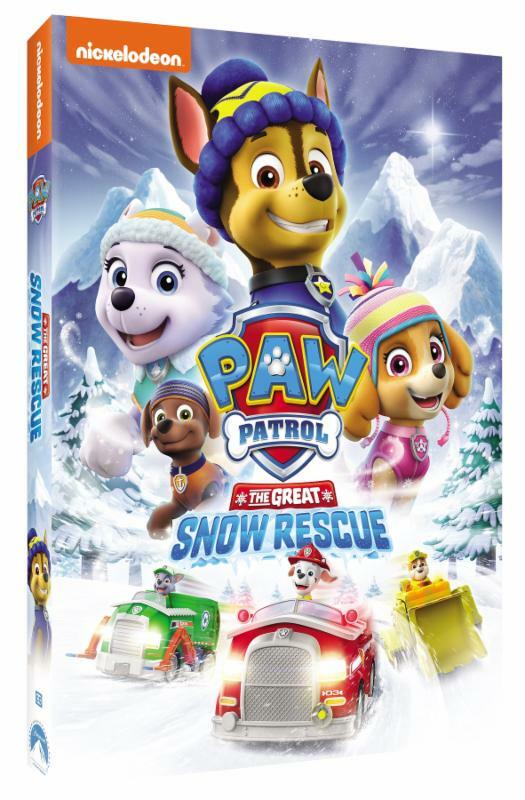 The PAW Patrol must use the Air Patroller to help cut breathing holes in the ice and return the playful baby whale back to its mom. Pups Save a Floundering Francois - When Cap'n Turbot and his cousin Francois are white whale watching in Adventure Bay, their boat hits a rock and starts to sink. The pups have to help free the ship and rescue an overboard Francois from the water. a copy has been received for review purposes. 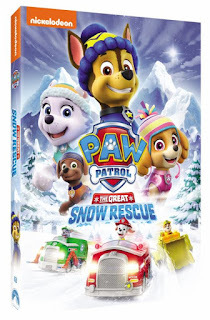 This looks like another cute Paw Patrol dvd. So popular with the little ones.